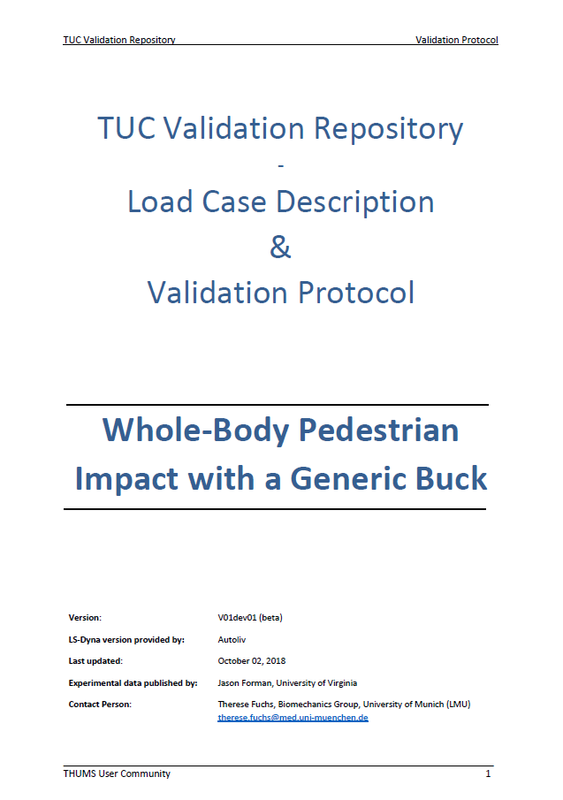 The FE model of the SAE pedestrian buck model was uploaded to the TUC Validation Repository as beta-model in LS-DYNA. 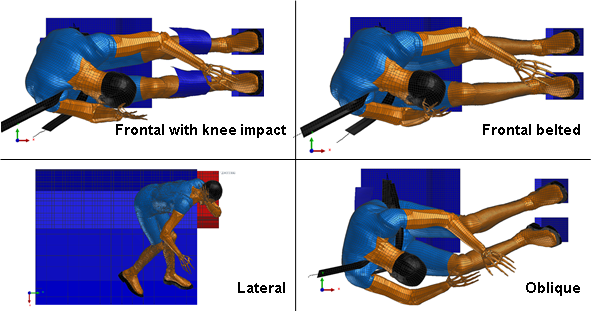 The model can be used to validate a HBM in a whole-body pedestrian impact against a generic vehicle front according to Forman et al. (2015). The buck model represents the SAE standard 3093 and was developed in cooperation with Autoliv. Besides presenting the status of the TUC Validation Repository the presentation was focused on the development of load cases for robustness evaluation of HBMs. Another EU Horizon 2020 project was kicked-off in May 2018. PIONEERS (Protective Innovations of New Equipment for Enhanced Rider Safety) will investigate and assess the direct contribution to the reduction of fatalities and severity of injuries, as well as the number of injured Powered Two Wheelers (PTW) users by developing new Personal Protective Equipment (PPE) and On-Board Safety Systems, improving the validation and assessment methods and increasing the usage rate of such devices. TUC partners BASt and LMU are involved in the project. More information can be found at the project’s website (www.pioneers-project.eu). The new EU Horizon 2020 research project “OSCCAR – Future Occupant Safety for Crashes in Cars” – develops a novel approach to improve the safety for all occupants involved in future vehicle accidents. The OSCCAR project assembles 21 partners including the TUC partners Autoliv, BASt, Daimler, ESI, LMU, TME, Volkswagen and ZF TRW. The project will run for 3 years, from June 2018 until May 2021. More information can be found at the project’s website (www.osccarproject.eu) or within the latest press release. Within the EC funded project SENIORS a new simplified and generic test rig was developed both as physical prototype and as FE model for testing and simulation, respectively. The aim was to create a more representative set-up of contemporary vehicles, ensuring good test repeatability and enabling the comparison of test results. Requirements for the generic test rig were derived from previous projects, such as THORAX. It is based on the Gold Standard fixture (Shaw et al. 2009) as it is simple and easy to use in virtual testing. For further information, please refer to this link. In cooperation with THUMS User Community, the FE model of the test rig will be prepared to be released as load case in the TUC Validation Repository. The second project phase of TUC has started and will run until end of October 2020. Major objectives of this phase is to prepare and establish methods and procedures enabling an agreed and harmonised application of valid virtual HBMs in occupant and pedestrian/cyclist active and passive safety analysis. The project’s organisation was updated for the second phase involving now different kinds of partners, i.e. Core Partners, a Technical Advisor, the Coordinator, Associated Partners, Development Partners and Attendees. For further information, please refer to About TUC. The TUC logo and website was updated for the second phase of the TUC project. 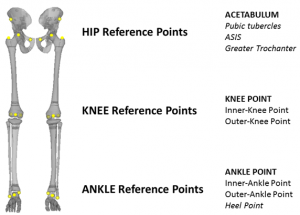 In cooperation with the Association of German Engineers (VDI) the THUMS USER COMMUNITY organises the International Conference on Human Body Modelling in Automotive Safety. The conference will take place in Berlin on November 28 and 29, 2017. Prof. Dr. Steffen Peldschus from the Ludwig-Maximilians-University in Munich and Dr. Henry Bensler from Volkswagen AG will take the lead. Further information on the conference’s focus, contents and programme can be found here. After running three and a half years, the first phase of the TUC project ended in May 2016. Preparations for the follow-up project (TUC2) have been meanwhile completed and the project is about to start. Further details will follow soon.